Avoidance: we all want to avoid painful emotions. As a result, most people try to avoid any situation that could lead to the emotions they fear – or worse. Denial: A second approach to dealing with emotion is denial. People often try to disassociate their feelings by saying “it doesn’t feel bad”. Self-Pity: Many people stop fighting their painful emotions and decide to fully indulge in them. It becomes a “badge of courage”, and they begin to compare their loss with others by saying “you think you have it bad, at least you haven’t lost your spouse”. It’s easy to try to “bottle up” our emotions and pretend it isn’t there. However, in the famous children’s book, entitled The Heart and the Bottle by Oliver Jeffers, we gain insights into what we stand to lose when we lock away pain and loss. 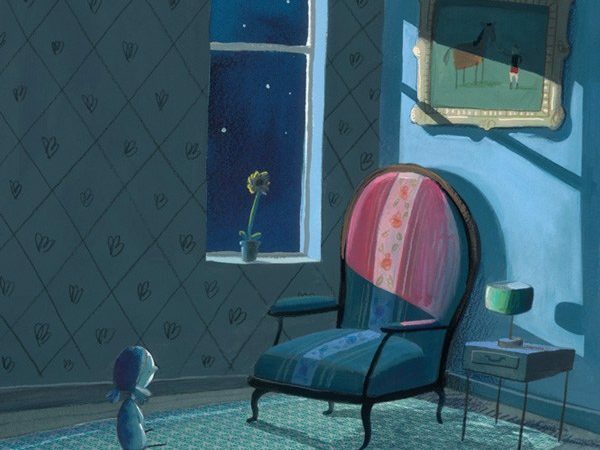 Jeffers tells the story of a little girl, “much like any other,” whose “expansive and exuberant curiosity her father fuels by reading to her all sorts of fascinating books about the sea and the stars and the wonders of our world”. Upon the realization that the father is gone — the little girl finds herself facing the empty chair. “Feeling unsure, the girl thought the best thing was to put her heart in a safe place. And that seemed to fix things … at first”. The little girl soon finds out that locking away the pain also locks away her capacity for love and aliveness. “One day, while walking on the beach where she had once strolled blissfully with her father, the “girl” — now a grown woman — encounters another girl filled with the boundless and buoyant curiosity that had once been hers. Suddenly, she is reminded of all she lost when she locked away loss. So she sets out to liberate her heart from its glassy prison — but the bottle has been fortified by years of self-protection”. Realize that the emotions that you are feeling at this very moment are a gift, a guideline, a support system, a call to action. If you suppress your emotions and try to drive them out of your life, or if you magnify them and allow them to take over everything, then you’re squandering one of life’s most precious resources. Our goal isn’t to ignore the problems of life, but to put ourselves in a better mental and emotional state where we can not only come up with solutions but also to act upon them. Children are also capable of experiencing the “heavy weight” of grief and the raft of emotions, grief causes. Encourage children who have lost a parent to speak about their emotions. 1. Feel your emotions every day so that you’re free to move forward. (Burying them will only ensure that they come back stronger.) If you have a difficult time processing emotions through speech, then write your heart out! Grab your journal and write out your frustrations, your anger, your guilt! You’ll find as you write that words will spill onto the page. 2. Watch your favorite movie or even a sad movie to help unfreeze your emotions so that you can get on with the business of crying, laughing, being angry–whatever it takes to get unstuck! 3. Scream at the top of your lungs about how unfair life is. No one’s around to hear you, so this is your chance to get it all out and get back to being positive later. 4. Blast your favorite music and dance! Or sit and listen and let your emotions roll. 5. Grab your journal and jot down your deepest thoughts. Remind yourself of YOUR wonderful talents, gifts, skills, abilities, blessings, and the other people in the world who love you. Lean on the support of those around you. Even though you’re feeling a huge void, be open to these many beautiful blessings. 6. Make your bucket list: You still have the opportunity to live your dreams. Why not? Your loved one is now on the other side, cheering you on, giving you the confidence boost you’ll need. 7. Write up your “Loved-One Memorial List”–the positives and negatives he brought to your life, both here and from the other side. How did this person change your life for the better, help you break out of your shell, open you up emotionally? What were their gifts to you? In realizing the positive impact our loved ones have had on our lives, we often see that they did what they were here to do in order to help us with whatever lies ahead. What if they can better now serve you, only in a different capacity? 8. Stop and breathe. When you’re in a state of grief and can’t seem to get out of feeling paralyzed, stop and ask yourself what you think your loved one would want you to do. Would he want you to lose all hope and faith, or to stop focusing on your talents, goals, and blessings? Of course not! Write down in your journal what you think your loved one would ask you to do right now. It’s powerful.